Would you love a few hours out to focus on your handwork, hang out with friends and finish some of those UFOs? Are you ready to power through those things you've put on the back burner? Do you like the idea of hanging out with other who share your passion? It's like a shot in the arm to your project pile. Take the time and be with other like minded fiber lovers......it's here! Locked in from 5 to Midnight, it's here! Snacks and beverages are provided. 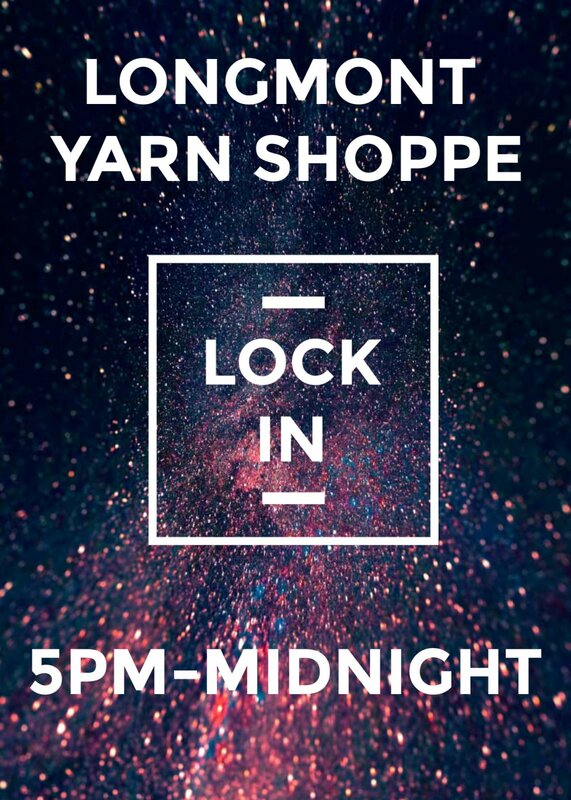 Requirements: PLEASE time your arrival no earlier than 4:45 pm so that other events at the LYS can wrap up before the Lock IN Begins. Thank you for your understanding and cooperation on this matter.